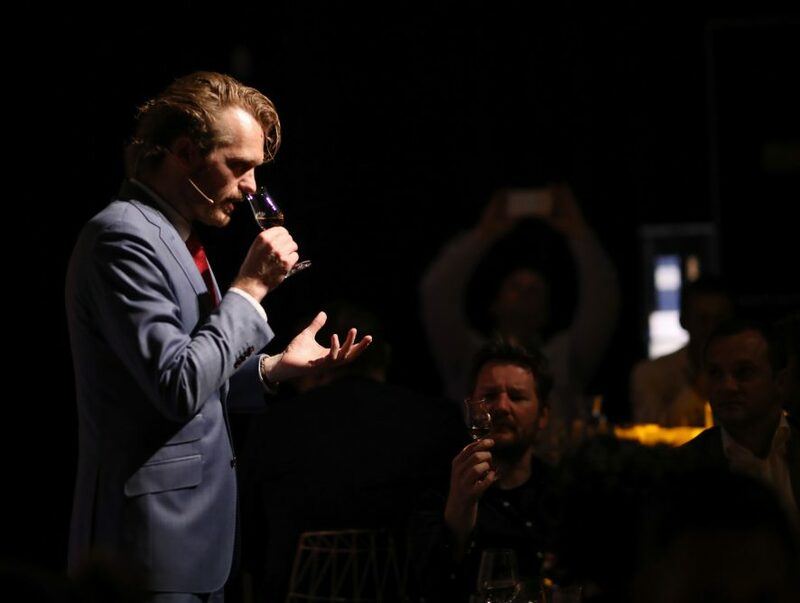 How did you become The Macallan Brand Ambassador? Whisky is my passion. I grew up with it, so it’s been part of my life. The Macallan was the first bottle of whisky I purchased. I was working in Scotland at the time and went to the distillery. I wanted to get a bottle to enjoy. I spotted a Macallan and realised that’s the bottle my dad likes, I’ve had it before and loved it, so I took it home. That was the start of this love story with the brand and getting to know the people, the place and the passion that goes behind it. And now to be able to share that makes me feel very proud. What is your favourite aspect of this role? My favourite part of this role is to inspire people. I love the travel, meeting new people and inspiring them either about the whisky or the uses of it. Sharing why we use the sherry oak cask to mature our whisky and what that means in flavour and discussing how others can enjoy it or use it in a cocktail, using a Fine Oak Macallan in a lightly styled aperitif Copa or a Double Cask in an Old Fashioned. Those are all the little bits of inspiration that I can see reflected in the smiles of the people’s faces when they enjoy it. In turn, being inspired by all the cultural differences, and the appreciation across nations, and people and how they share it with me. So, I really take a lot out of those travels and that makes me get up every day. 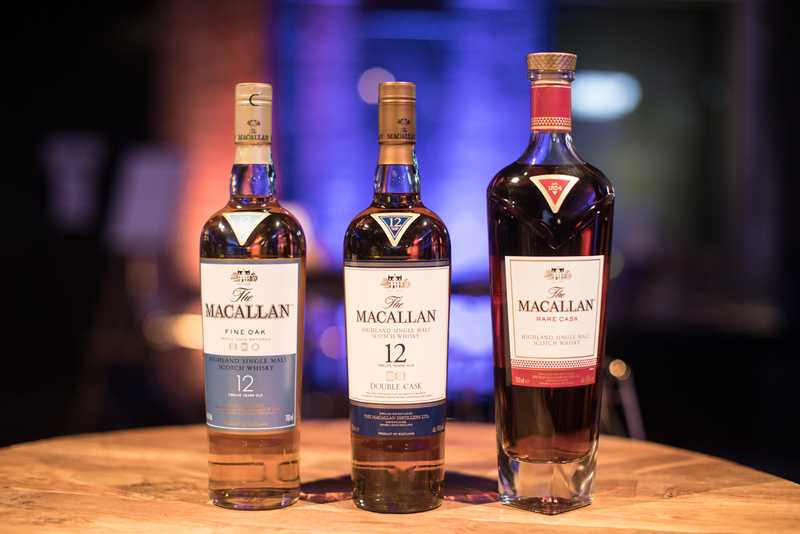 Why is The Macallan different to any other single malt whisky? So, the sherry casks are really our DNA and from all the new seasoned sherry casks imported in Scotland, over 80% go to The Macallan. It helps us bring to life how we envisage flavour to be part of our whisky. It’s the importance of maturation at every stage. Every cask from our warehouse stock brings flavours, allowing the spirit to interact with oak that breaths oxygen to obtain that rich beautiful golden or even deep mahogany colour because every bottle of Macallan is a natural colour. Take small stills, sherry casks, natural colour – these are the heart of what we are. Combine that with our spiritual home, Easter Elchies, 390 acres of land and you really have a unique whisky. How would you describe the taste of The Macallan Double Cask 12 YO? Double Cask 12YO – we’ve put this whisky together to create a very versatile Macallan that appeals to people enjoying the flavour that comes from classic rich sherry cask maturation and the people who are more open to the lighter fruitiness of American oak, still sherry casks, but made from American oak. Combing the best of these two worlds – Europe & America – in the heart of Scotland gives a well-rounded fruity rich flavour style that’s versatile to either a moment of quiet reflection, or when you’re out with friends but still rich to taste. What’s the difference between the two 12Y Olds? The main difference is the use of casks. For Double Cask, we use two styles of oak; American and European. Both are sherry Casks. With Fine Oak, it’s a triple cask maturation process. We’re picking from American and European sherry casks, adding American oak Bourbon barrels. It’s all about full maturation, from beginning to end, they’ve been matured separately and then at 12 years they’re vatted together. The Bourbon barrel influence in the Fine Oak makes it lighter, fresher, therefore making it more accessible to more palettes. Whereas when we’re using the sherry casks for Double Cask, this ensures that the whisky is richer and more viscous to taste. Why is The Macallan re-introducing age statements? The aged statement has always been around. As demand for stock and nature dictates what is available, we always have to make a choice with what we can produce, what we can bottle and what we have to use in a different way. 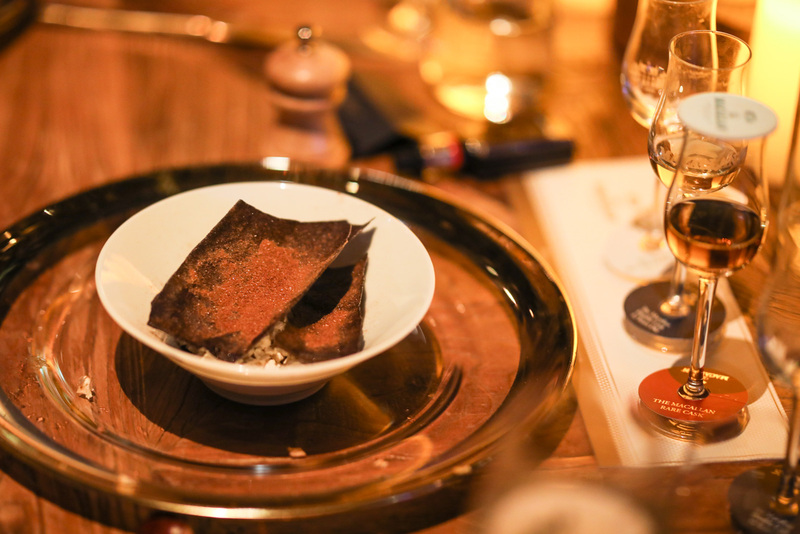 When we create whisky it’s all about flavour. A flavour that is consistently present in every bottle. So if our stock behaves differently or even if demand exceeds supply, we have to look at it from a different perspective by introducing other whiskies to fill the gap. To meet demand means we get more people to enjoy whisky, because that’s ultimately why we make it – for a world to enjoy. Our other ranges, the multi-vintages such as Amber, Sienna and Ruby, were introduced for either the light freshness of Amber, the intense fruitiness of Sienna or the rich “Christmassy” flavour profile of Ruby. Now with our ramping up of production, due to an increase in demand, but moreover wanting the world to be able to enjoy the same Macallan. We know we can produce Double Cask for a lasting world. So rather than having someone from Australia, Taiwan, US talking about different Macallan’s, because they had different Macallan’s available in each market, we want to have them the same conversation. Maturation accounts for 70% if not more of the final flavour of the whisky. When we invest so heavily in our casks we expect them to deliver a huge impact on flavour. We keep track of our casks from the moment we cut the tree until we sell them after we’ve matured whisky in them. Those are lifetimes of people involved in the nurturing of our philosophy. It contributes so much to its flavour because oak has a lot to give, fruitiness, floral notes, chocolate notes, spicy notes. We realise these sherry casks can give us the thumbprint, the DNA, the heart of The Macallan flavour. As they are 10 times as expensive as bourbon barrels, it’s an investment we can justify because that’s how the flavour will be best. We see that reflected in millions of people enjoying a Macallan, and consistently looking for Macallan matured sherry casks. That’s why we invest 28 million pounds in casks every year. How important is sustainability to The Macallan? We view sustainability as a means to give back to nature. To create whisky we only need barley, water and yeast and obviously casks to mature them in. We want to ensure that we involve ourselves in giving back. When you distil you use a lot of heat. Re-using energy is a way of giving back what’s unnecessary, that’s when you can make sure it finds its way back into the ecosystem. We’ve seen a lot of growth in the last couple of decades, our plant was suited to distillery techniques when it was built and when it was amended to match that growth. When we looked back at what we have learnt about sustainability, we realised there were improvements to be made. So, we’ve invested 100,000 million pounds into a new distillery which is scheduled to open in June 2018. We’ve applied new techniques with lessons learnt about sustainability so we can apply more use of the natural airflow, gravity, heat recovery and use our distillery co-products as a bio-fuel and re-inject it into the process. Therefore, we become greener by the minute. What are your impressions about Australian bartenders and Australian whisky consumers? I’ve had the pleasure to meet Australian bartenders in Brisbane, Melbourne and Sydney and I can see the 3 different atmospheres and cultures come to life. What they’ve got in common is a great appreciation for flavours and exploring them, whether it be with a drink or the food pairing and with friends and the quest for beautiful flavours. To see the full range of The Macallan, click here Watch Sieste’s video invitation to keep the conversation on The Macallan going. You can get in touch with him via his Facebook Page here.